When we say that Mellady Direct Marketing is a full-service firm, we really mean it, and those services extend well beyond simply printing and mailing. We’ve also helped numerous clients refine and revamp their branding materials, including that most common of marketing components: the website. 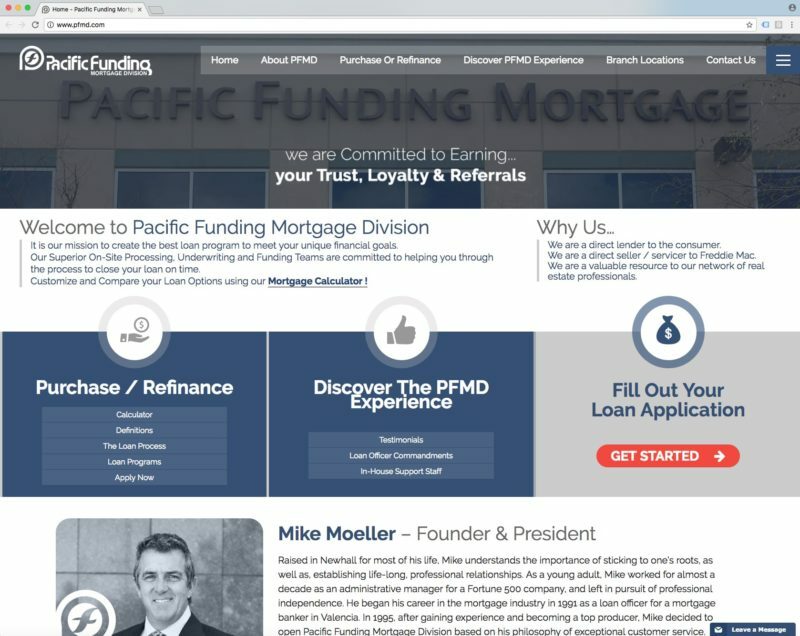 Recently, Mellady Direct worked with Pacific Funding Mortgage Division (PFMD) to overhaul the company’s website, giving it a fresh look and increased functionality, while still retaining the client’s existing branding guidelines. In addition, we have been working with PFMD to increase their social media presence, in addition to blogging and media outreach. “Mellady Direct has been a dream to work with,” PFMD founder and President Mike Moeller said. “They are very responsive to our needs and requests, and they’ve been a fantastic partner in improving our brand. 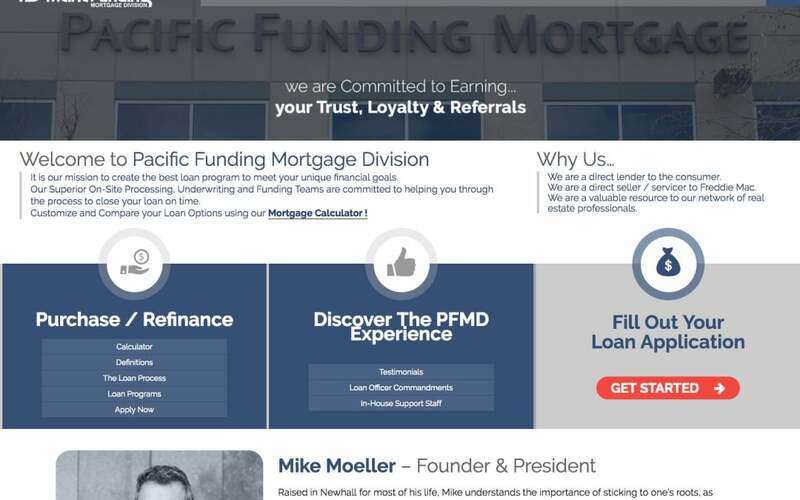 The new website we launched for PFMD includes several features that are frequently overlooked but which are easy ways to improve your connectivity with clients. Live Chat: This feature allows site visitors to connect in real time with a company representative and have their questions answered. Mobile-Ready: With so many people viewing websites on mobile devices instead of desktop computers, you can no longer afford to have a site that doesn’t adapt for mobile viewing. Increased Contact Info: A built-in contact form provides a great lead capture device for businesses. For the majority of potential clients, your website is the first thing they see. Are you giving them a great first impression? The first step is a thorough audit of your existing site. If your web presence needs improvement, contact Mellady Direct Marketing and find out how we can help elevate your brand.